So, after months of looking for the perfect vintage wedding jewelry. 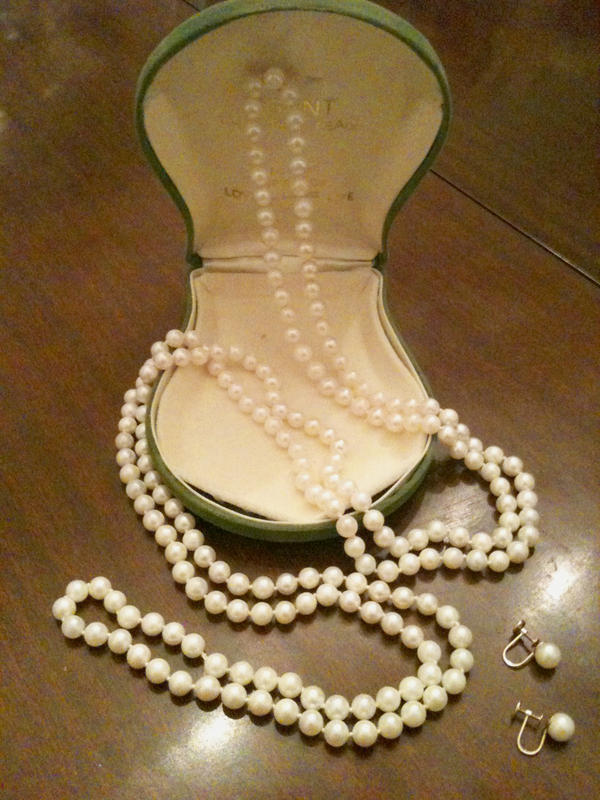 My mom came to me and said the I should where my grandmother’s pearl necklace. How absolutely wonderful and special… and they are vintage 1940′s. I swoon over vintage jewelry. Now, for something borrowed. My mom is letting me where one of two pair of earrings my dad had bought her long ago. I can wear her pearl earrings (in the picture above), which would wonderful with my grandmothers pearl necklace. 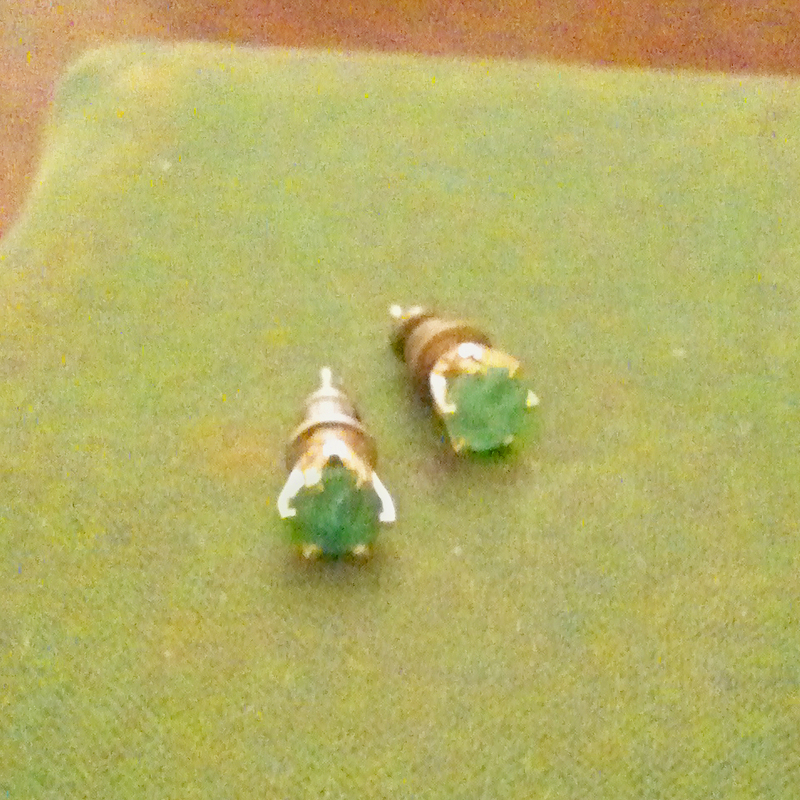 Or, her green emerald earrings, matching my wedding colors of course. Oh, which to pick… I guess we’ll find out the wedding day. I just need to find a bracelet. Maybe mom has something in her treasures. Now, to find something “New” and something “Blue”.